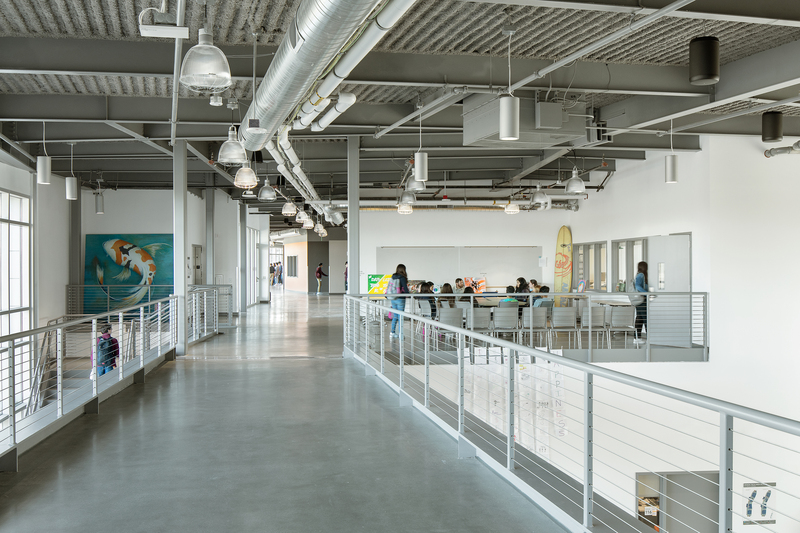 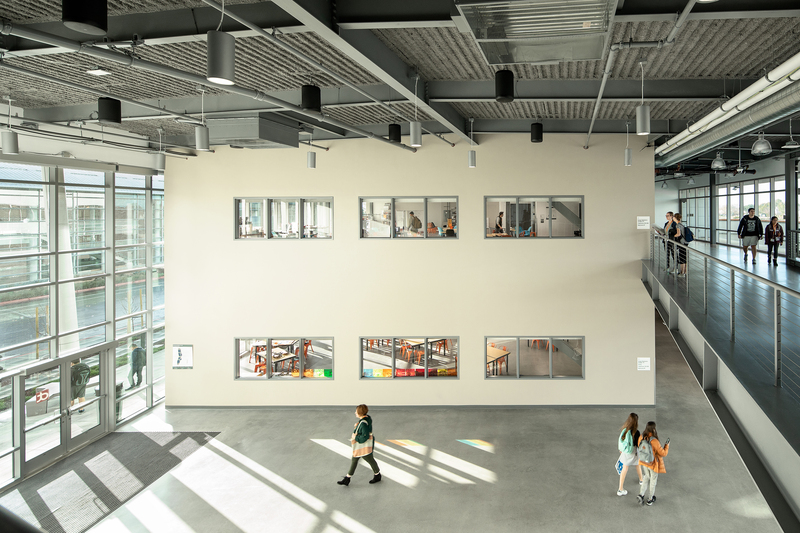 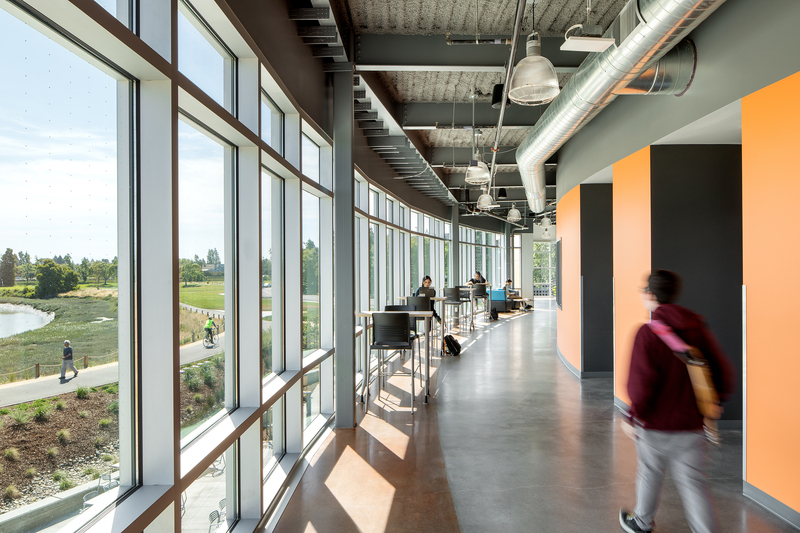 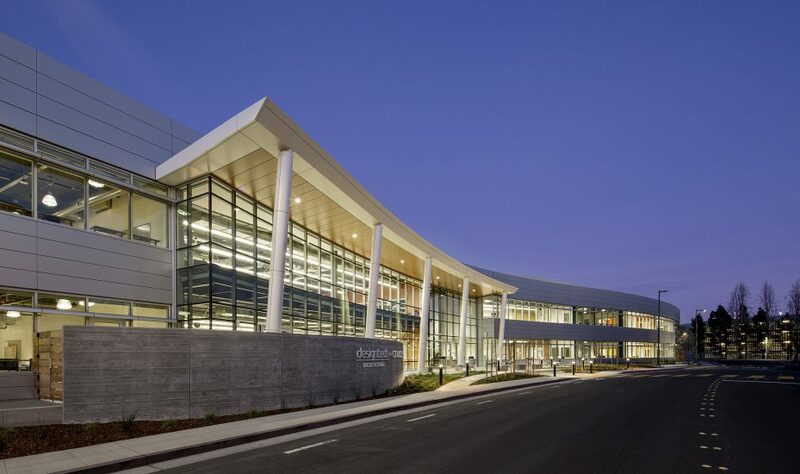 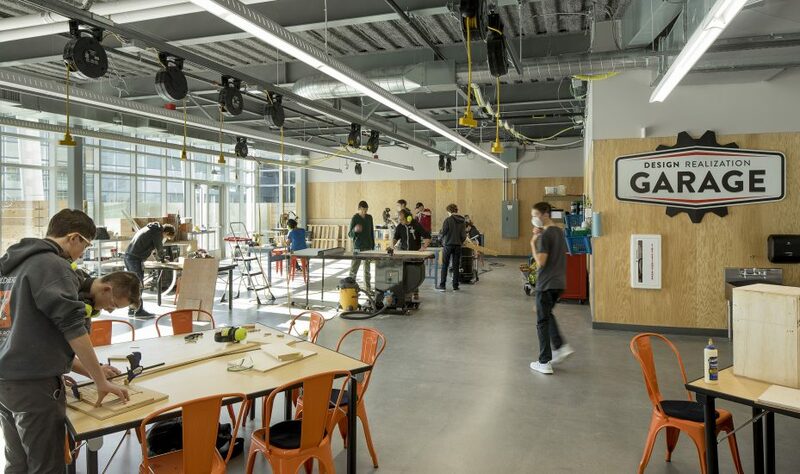 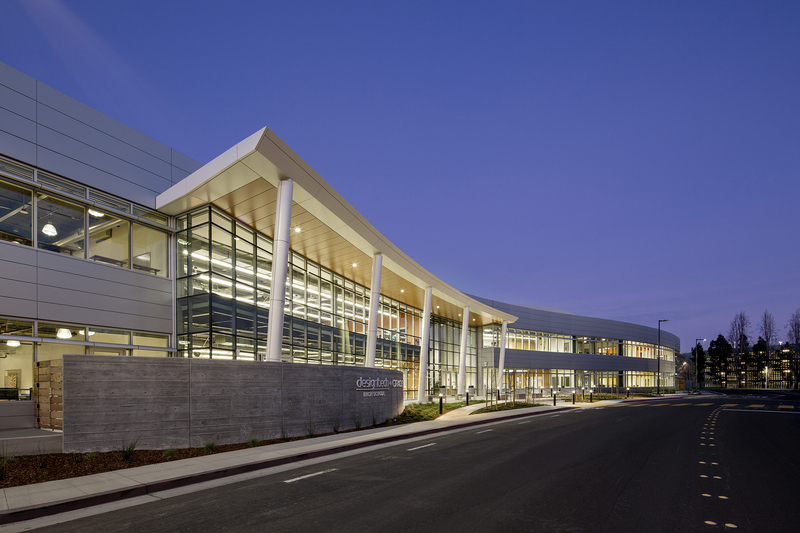 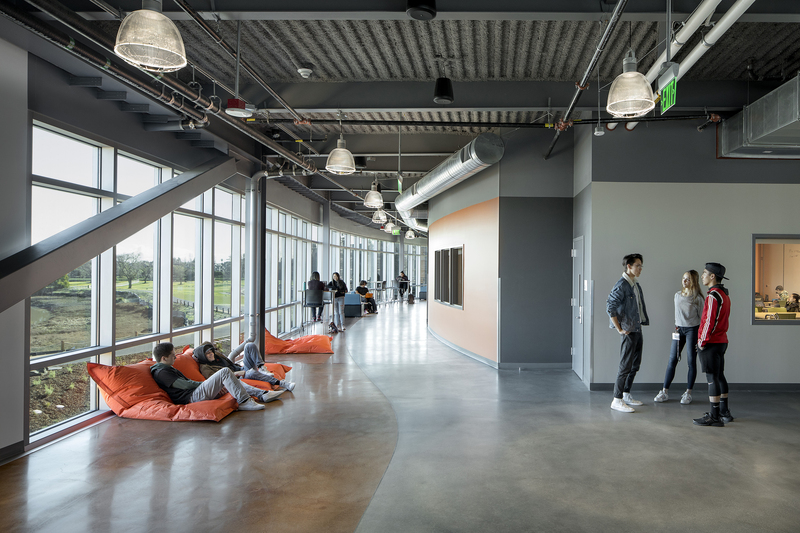 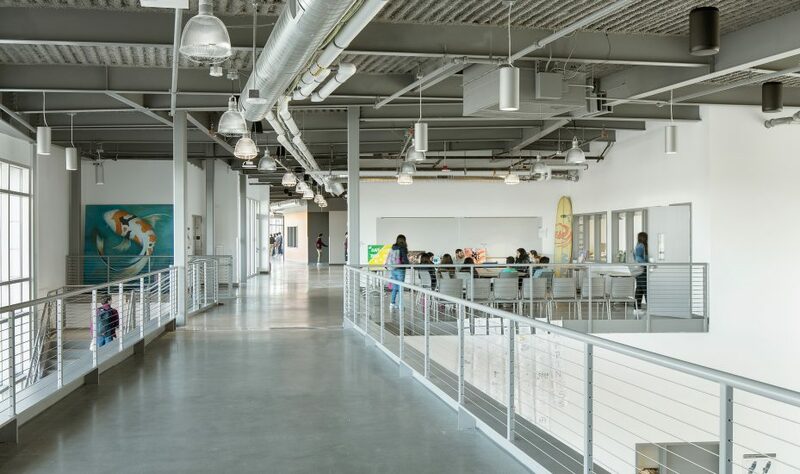 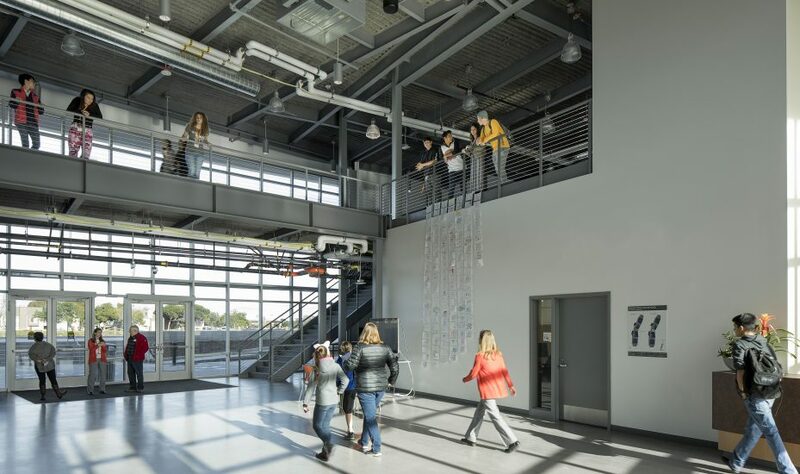 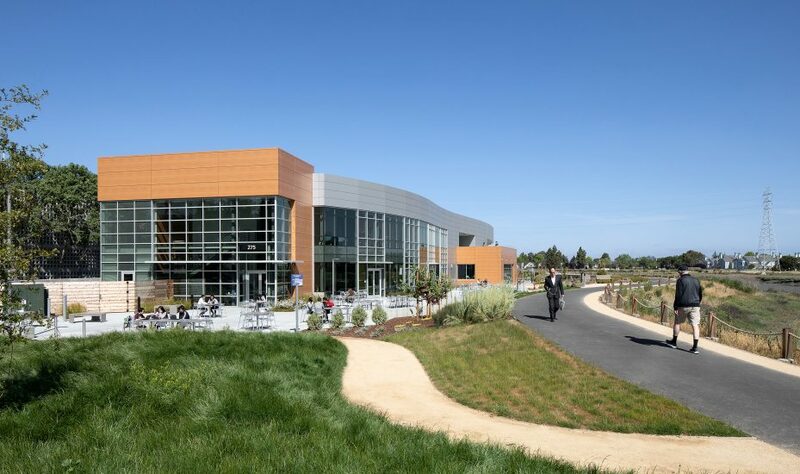 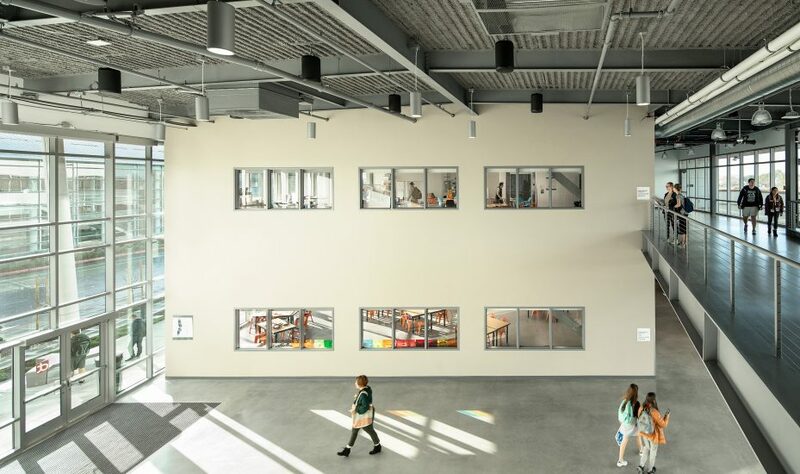 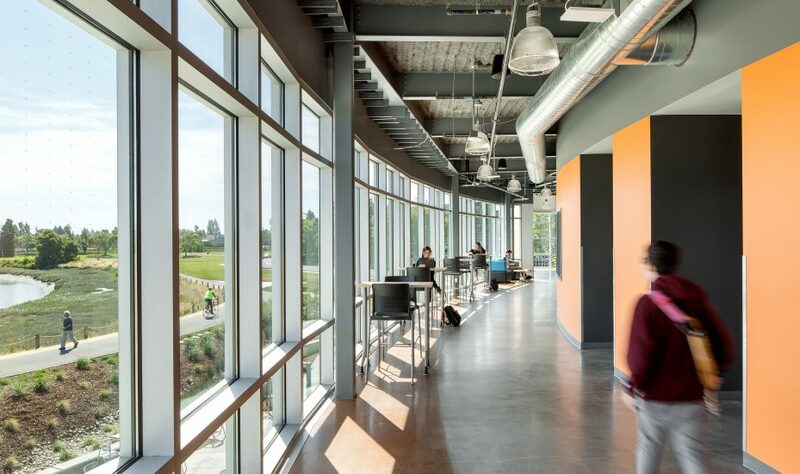 Oracle made history by building a facility to house Design Tech High School, a pioneering public school, on its headquarters campus in Redwood Shores. 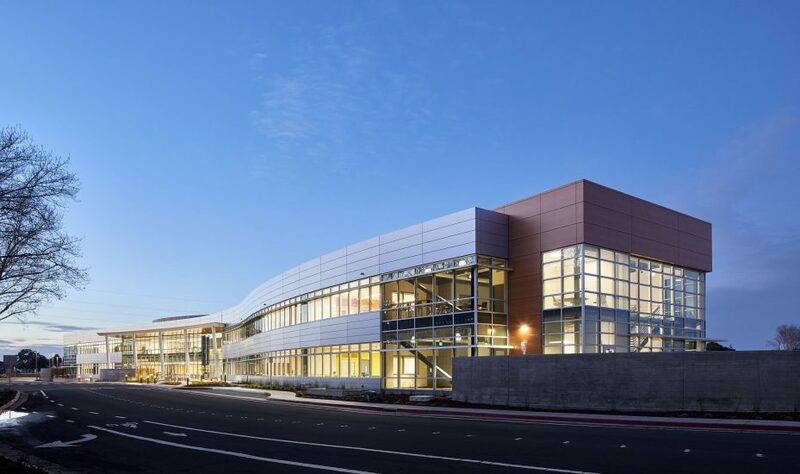 The two-story, 64,000 s.f. 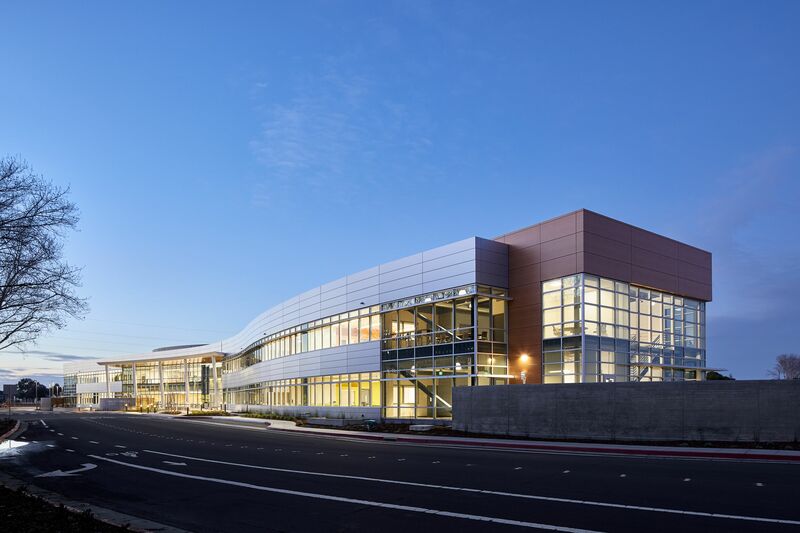 structural steel building rests on a deep foundation system and is cladded with glass and metal panels, aesthetically harmonious with adjacent Oracle buildings. 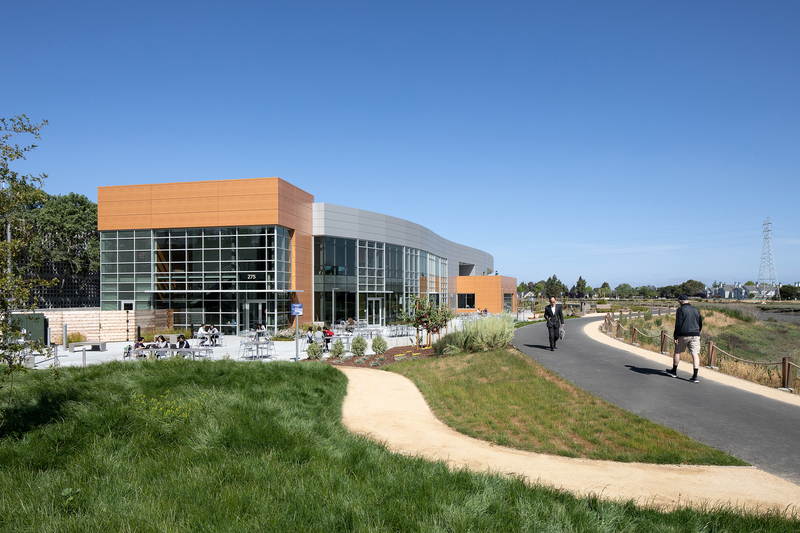 The LEED Gold project includes improvements to the Bay Trail and levee updates. 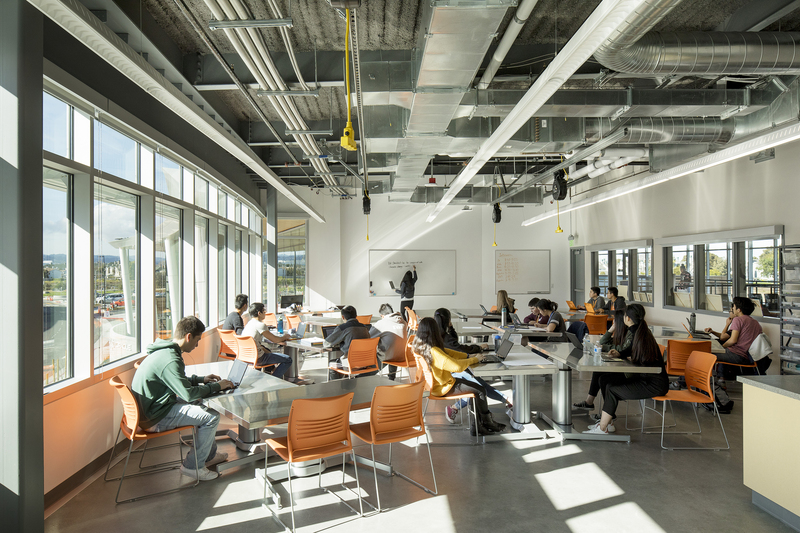 Collaboration rooms replace the typical classroom; open, flexible corridors replace hallways; rooms have no defined use (except for labs) and external collaboration spaces are incorporated so students can take their work outside. 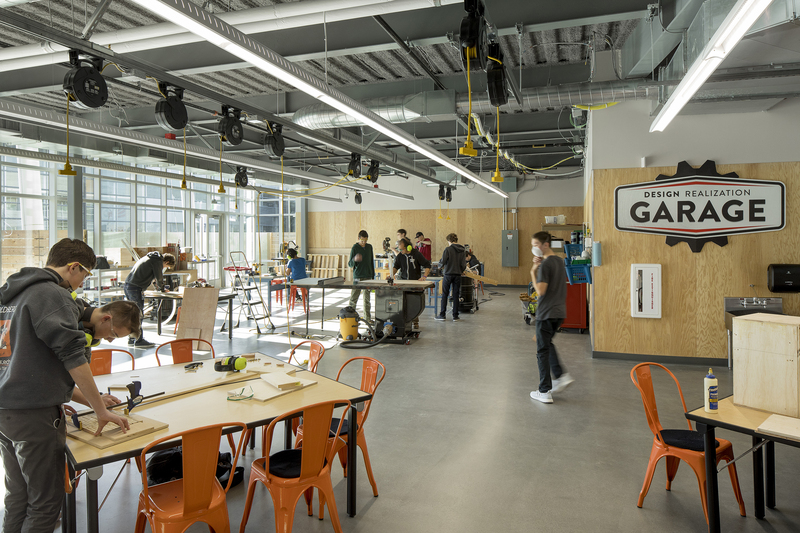 The building includes a woodshop, electronics lab, and fabrication labs. 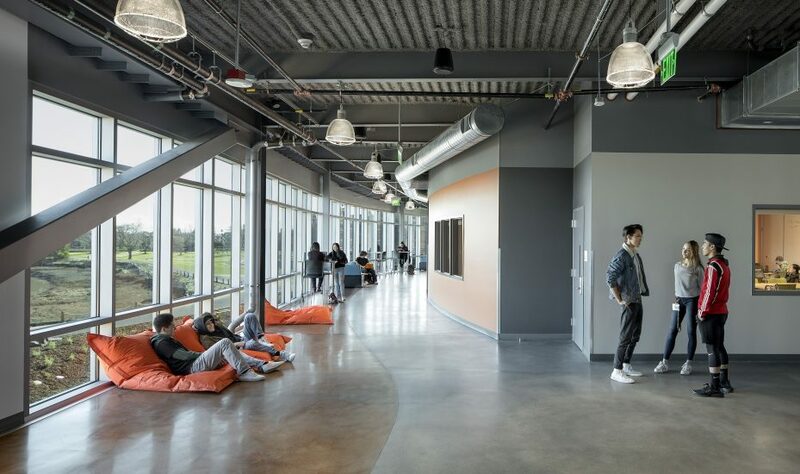 Design-Tech High School’s unique curriculum makes it a charter school of choice for California high-schoolers. 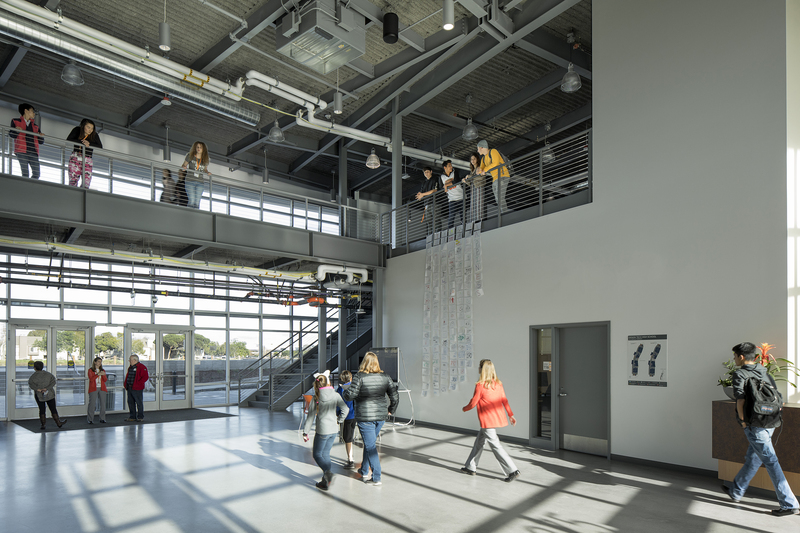 The building’s design supports the high school’s vision of teaching students how to be successful in business, not just in school. 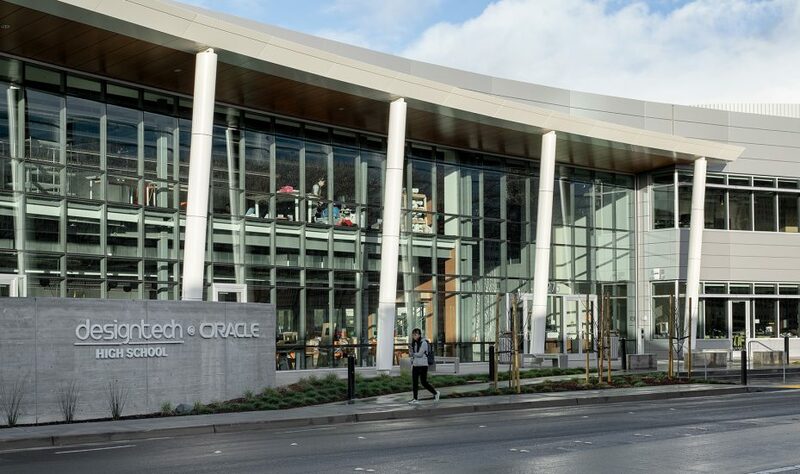 This project is fully funded by the Oracle Education Foundation and provides its high schoolers a unique design-thinking learning experience. 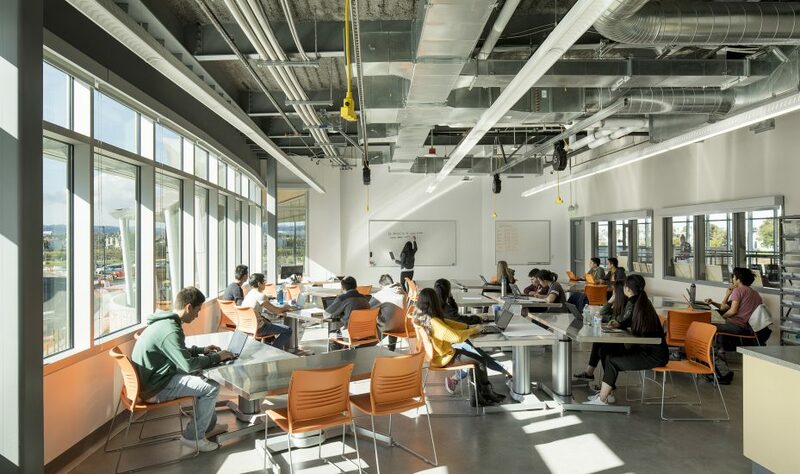 XL Construction continues to be involved by providing volunteers for 2-week intersession courses.